Posted on December 13, 2018 by Smorgasbord - Variety is the Spice of Life. Welcome to the first of the Twelve Days of Christmas party where guests will share their best ever Christmas presents ever…and there will be food, drink and of course music and to get you into the spirit of the season.. here are some choristers with particular appeal.. I tried to remember the first Christmas that I was aware of as a child. I must have got the general idea of the concept of presents quite young as at age seven when we moved to Malta I began the practice of putting a pillowcase on the end of my bed from around mid-October…. I think this ticked my mother off somewhat because she sat me down at the beginning of December and told me that Father Christmas did not exist and that from now on I would have my presents around the tree like my two sisters who were in their late teens….. My brother would only have been three years old at the time and so was not really interested one way or another. Every year since then for the last 38 Christmas mornings we have woken early and sneaked a stocking full of nonsense on to each other’s side of the bed and when we had Sam still, he had one too. There is a frenzy of unwrapping or ripping in the case of Sam, and much laughter and illicit consumption of chocolate oranges and cashew nuts. In the case of Sam it was the sniffing out to the bottom of the snack to find his customary pig’s ear… I always put a tatty duvet cover on for this occasion and it was necessary. As to my favourite Christmas present of all time……that would probably be the year that my parents came up to London to stay with us and have Christmas dinner. My father loved big band music and at the time was still listening to a 1960s record player. We gave him a fairly flat package, and he unwrapped it to find four CDs of Glen Miller Big Band Music.. He tried so hard to look excited, but then looked at me and said ‘I don’t have anything to play these on’. David then handed over another large package to my mystified father, who tore of the wrapping to find a box containing a combined radio and CD player with detachable speakers. The look on his face is still very clear in my mind today. Priceless. Just in case my father is listening in from somewhere over the rainbow.. here is Glenn Miller with In The Christmas Mood…..
Actually the 12 days do not begin today but from Christmas Day until the evening of the 5th January. These days are associated with religious calendars and rather than the fun approach in the song we sing, many are in tribute to someone who met a tragic end. The 12 Days have been celebrated in Europe since before the Middle Ages and were a time of celebration of various events around the birth of Jesus or to celebrate the life of a saint or martyr. Each day had its own significance. Day 1 (25th December): Christmas Day celebrating the birth of Jesus and the setting of the nativity. Now time to meet our first guest who is someone who has accompanied during the last five years of blogging and whose books I have enjoyed. Author Mary Smith lives in Scotland but has her experiences of working in Afghanistan and Pakistan to draw upon when writing her novels and short stories. Mary has also written in collaboration a series of books on her home in Scotland. This is Mary’s very best Christmas present ever…. As soon as I read your post I remembered my best ever Christmas present – roller skates. It was a completely surprise gift from Santa (my four-years-younger sister was still a believer), something I hadn’t asked for. It took me a while to master them because I kept trying to walk rather than roll but once I got the knack I was off, skating up and down the pavements. Those skates gave me such freedom. In the summer the grounds of the High School became my giant skating playground. I didn’t mind if I was alone but often other kids joined me. A steep, ridged concrete path ran from the playground to the tennis courts, which was great for testing our nerves. We tied a rope onto a bike and took turns being pulled down the slope, faster and faster – the ridges on the concrete made my teeth rattle. I can still feel the exhilaration and sheer joy my skating days gave me. Very tempted now to put skates on my Christmas wish list! Thru the eyes of a converted Scottish midwife and her 2 husbands. Miriam is an highly trained midwife who meets an handsome Afghani engineering student in Edinburgh University. They fall madly in love, she converts to the Muslim faith for him and they marry and have a child. Not too long after their son is born, tragedy strikes and she is widowed. She marries again and the story, “No More Mulberries”, is the intricate unwinding of these lives in the midst of a war torn country. The writing is rich with descriptions and emotion. The characters are well fleshed out, complex and burdened. This is not a one sided political treatise but rather an inside look from the vantage point of a common village family and some slightly higher up; but only slightly. 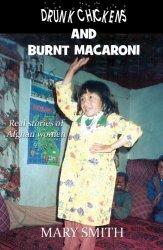 Life in early 1990’s for the Afghani people was akin to 1890’s America, extraordinarily so for the women. Altho’ M. Smith portrays the realities in her book, this story is not without a feeling of love and hope. These are resilient people in tragic circumstances trying to maintain families and some semblance of normalcy. There are moments of humor to relieve the tension so deftly written about. There is nothing offensive in this book. All the language, violence and sexual content are easily within a PG rating with nothing being gratuitous or overly descriptive. You will get the picture without being given a high-def, 4K, knockout punch. This book will effect you, I know it did me. The invasion of Afghanistan was almost 25 years ago and the battle still rages. “No More Mulberries” will give you a chance to see what it might be like on the inside, from the inside. We assume that carols are of religious origin but in fact they are pagan songs that were sung to celebrate the four seasons. For thousands of years at the Winter Solstice for example people would dance around large stone circles and the word carol actually means to dance in praise and joy. Over time the practice of singing carols became synonymous with Christmas and was adopted by Christianity as a way of celebrating the birth of Jesus. Over the years it has become a tradition for musicians to bring out their own compositions in honour of the season and over the coming days I will be sharing the carols and music that are sung all over the world by those who celebrate this particular festival. My next guest is USA Today Bestselling author Jacquie Biggar who writes across the fantasy and romance genres. Here is what she shared about her best Christmas gift ever. Jacquie’s best Christmas gift ever. My favorite Christmas gift arrived six years ago, not long after I moved to the island. Hubby was working in Alberta and only came home every three weeks, and my daughter and grandson had started school—I was lonely. My Christmas Gift for Jacquie is a hamper of all the top cat lover’s gifts… I hope you and Harley have a blast……. I love Christmas books and the perfect holiday book has to be full of heart and romance, healing, redemption, warm and cozy Christmas themes and maybe a hint of the magic of the season. Throw in a small child and a dog and you have me. Mistletoe Inn has all that and more. Noah is on his way to becoming a grumpy recluse. He bears the scars, inside and outside from the fire that killed both his parents when he was a small child. His aunt, who raised him and he loved, recently died too. I think that she was a wise woman because just before she died she sold part interest in her B&B called Mistletoe Inn to a young divorcee with a small child wanting to make a new start. Like it or not, Molly starts to thaw the ice that encases Noah’s heart. And, in a place like Christmas, Michigan, covered in snow and Christmas joy,and surrounded by young families and couples coming to the Inn for a romantic holiday who can resist romance? The novella has some depth and lots of heart too with themes of grieving and starting over. You will quickly feel like Christmas when you read this! Traditionally mince pies were a bit of luxury and also a status symbol for those living in 17th century and very wealthy folk would show off at their Christmas gatherings by having their pies in all kinds of shapes and sizes and were more a reflection of their ability to employ a high end pastry cook more than anything. In the early days they would have contained minced meat of lamb, beef, chicken etc rather than those we eat today made with dried fruit and spices. Traditionally it is said that if you have one a day from Christmas Day through to Twelfth night you will enjoy much happiness for the next 12 months… If ever there was an excuse to eat something sweet and fattening then this is the best yet…. When I was about six years old, I wanted an electric train. I told my parents that a train was all I wanted. They said a train was not in the cards that year. I went to bed accepting the fact that a train was not going to be under the tree. My older sister had told me there was no Santa Claus, so I had not sent a letter to the North Pole with my request. If there was a Santa, which I believed before my sister filled me in, I could make a wish even at this late date. So before finally falling asleep, I asked Santa to please leave a train. The next morning the living room was a magic land filled with presents. The tree sparkled with colored bulbs, and I could see a Lionel engine with ten cars sitting on tracks that went all the way around the tree. I could not believe my eyes. As a consequence, I still believe in Santa Claus. This is for you if you like thrillers with excellent twists, interesting and complex characters, a touch of the paranormal, and – food for thought. A compelling and remarkable read by a master of story-telling. There is some debate about the origins of Eggnog but it probably goes back to what was called Posset in medieval Europe -it was a sweetened dairy based drink made with milk, cream, sugar and eggs which would have been beaten together to form a frothy drink with some cinnamon or nutmeg sprinkled on top. Over time of course some bright sparks began to add some alcohol to the mix depending on where they lived at the time… Today in various parts of the world you will find a version of Eggnog served with rum, brandy or whisky. It is very warming and sweet and if also combined with rum I understand it has an impact on short term memory…..
What is quite delicious is to make the concoction into an ice cream and that goes beautifully with mince pies or Christmas pudding. If you have a new book being released in the next few weeks in the run up to Christmas please let me know…If you are already in the bookstore… I just need the link to Amazon. If you are new to the Cafe and Bookstore you will find details of what I need from you here. Posted on July 24, 2018 by Smorgasbord - Variety is the Spice of Life. 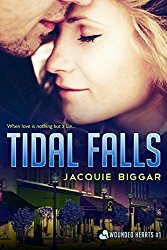 Delighted to showcase the latest release of USA Today Bestselling author Jacquie Biggar. Hot off the press today here is Sweetheart Cove (Blue Haven Book 1). One of the recent reviews for with this heart. 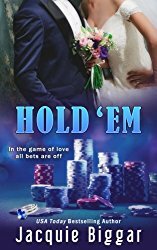 Jared Martin and Annie Campbell (The Rebel’s Redemption) are finally ready to tie the knot, but when doubts creep into Annie’s mind a few weeks before the wedding, will the wedding be cancelled? Annie has a been single parent to her son Chris for so long, as much as she loves Jared, it’s difficult letting him in. Such a sweet heartwarming romance about second chance love between two people who are obviously meant to be together. You won’t want to put this story down until you’re finished reading. This is a wonderful series. 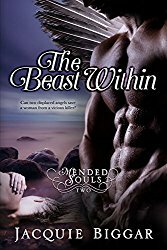 Those of you who love military romance, wounded warrior romance and romantic suspense will love the stories written by this super talented, fabulous author! Thanks for dropping in and it would be great if you could spread the news of her new release.